While many virtual models of organs have one specific instrument as the template, we decided to take different approach this time. The advantage of presenting a "South German Organ Model" without a direct connection to certain specific instrument is that it is more clearly shown that all the organs of this family in the given period are quite similar to each other and have many common characteristics, in spite of their differences. Insight is the amazing new visual metering suite by iZotope. Do you know what you're looking at? Well, Pro-Tools-Expert.com contributor Mike Thornton will reveal all its secrets in this in-depth collection of video tutorials and get you using the metering plug-ins like a pro. -Added distribution packages without installer. Learn to program drums like a real drummer! Eli Krantzberg, musician and DAW extraordinaire, shows you all of a drummer's "secret weapons" that make real drumming sound, well... real! Your beats and fills will be so much better and authentic sounding after watching this series... Eli guarantees it! Eli starts off simple with single stroke sticking and fills, the backbone of all drumming and beats. He then gets into double stroke rolls, triplet singles and doubles, and paradiddles. He shows you how to creatively use these drumming basics when programming drums in your DAW, making your beats and fills groove and sound like a real drummer. Next Eli gets into more complex rudiments such as inverted paradiddle grooves, afro-cuban double paradiddle grooves, his all-time favorite fill, tripple paradiddles, single drags, open drags, five stroke and six stroke rolls, useful grooves and much, much more. If you want to program realistic sounding drums with all the nuance of a real drummer, look no further. Eli shows you all this and more in this power packed offering, "Drumming Explained". Get yours today. I didn't like Relectro's bleak white surface so I have re-worked the colors of the entire GUI. NOTE: No need to install the skin as i have embedded it inside all Plug-Ins. If you don't like it you can always remove it from the "Contents" folder. 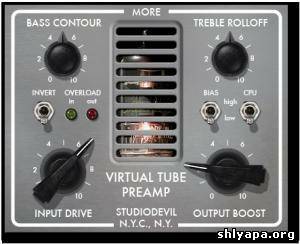 -Discrete Vacuum Tube Preamplifier Channel using the best vacuum tube modeling technology available to faithfully emulate the dynamic and expressive nature of real vacuum tube preamplifiers using Studio Devil’s proprietary vacuum tube circuit modeling technologies! -Input Drive Control adjusts the strength of the signal feeding the input grid of the virtual tube preamplifier! -Output Level Control to adjust the output signal strength and to compensate for low drive settings! -Bass Contour Control to sweep the value of the cathode bypass capacitor which controls the low frequency and dynamic saturation responses of the preamp! -Treble Rolloff Control to tweak the value of intrinsic and parasitic capacitances in the simulated vacuum tube preamp, giving control over the natural warmth and softness associated with real vacuum tube preamps! -Bias Switch to select from two preset tube bias levels which vary the interaction of gain, asymmetrical drive, and dynamics of the preamplifier! -Invert Switch permits controlling the phase of the preamplifier and the polarity of the class-A asymmetry! -CPU Switch adjusts the modeling algorithm to balance the tradeoff between accuracy and CPU load allowing multiple instances to run on even slower workstations! -Overload LEDS assist in setting healthy levels by indicating when the input signal is overdriving the tube preamp and when the output level clips! Studio Drummer is a rockin’ drum machine! Join Toby Pitman as he shows you everything from it’s GUI to some awesome programming tips that will make your drums tracks rock! This tutorial starts out with up-close look at the Kit, Mixer, Grooves and Options window where all the programing magic happens. Next, there’s a deep dive into the Session, Stadium and Garage kits that explains all the cool sounds, articulations and multi-samples. Next, Toby "kicks” it up a level with a detailed look at the mixer with it’s insert effects and reverbs. 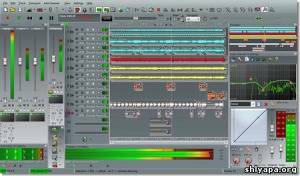 You’ll learn how to create and save Instruments, Channel settings and Mixer presets. From the you’ll explore Studio Drummer’s flexible output section. You’ll learn about the Bus Architecture, Output Assignments. There’s even an informative video on creating Stems. In the next section,Toby gives up some of his secret drum articulation tips to help you create more realistic snare, hat and Cymbal tracks! And, if that wasn’t enough, there’s even a cool video on integrating Studio Drummer with Maschine! 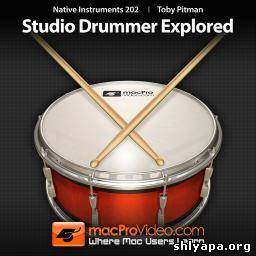 So watch this awesome tutorial by Toby Pitman and explore all of macProVideo’s extensive and ever-growing library of Native Instruments tutorials. We love NI’s awesome instruments! Sampling is huge in music production. We all use samplers, but very few of us know how they work and how to effectively deploy them in our productions. Ableton’s awesome Sampler is seamlessly integrated into Live’s workflow which makes it both easy to master and intuitive to use in both your "live” and studio tracks. This tutorial is divided into two parts: Part One begins with a look at how sampling works. You’ll see all of Sampler’s basic controls and functions as Olav guides you through all the options on Sampler’s GUI. Once its functionality has been clearly explained, Olav takes a deep, sonic dive into sound design. And now the fun begins: In Part Two you're invited into Olav’s audio workshop where you’ll see him create his sonic masterpieces. He turns vocals into kick drums AND funky bass parts. Master Basoski then shows you how he designs swooping sweeps and staccato stutter FX. He also does some cool "oldskool” time-stretching. So join Olav Basoski in this informative Sampler sound design tutorial and see how you can release the outrageous audio potential locked up in Ableton’s premium instrument: Sampler! 'Intelligent Machines: Minimal Glitches' is a sample pack that features 100 loops of rhythmic minimal glitches recorded at 120 BPM with the most advanced and experimental, up-to-date beatmachines. This set of loops is very oriented to Minimal Techno and similar electronic styles in which rhythmic patterns are a fundamental element. 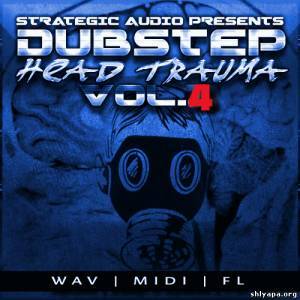 'Dubstep Head Trauma Vol 4' is the newest installment in the 'Head Trauma' series from Strategic Audio and features five authentic, Dubstep/Brostep Construction Kits inspired by the music of top Dubstep producers and artists, such as Flux Pavilion, Skream, Skrillex, Nero and Rusko. Packed with Over 800 MB of dark wobble basses, electric synths and leads, this kit is a must have for today's serious Dusbtep/Brostep producer. 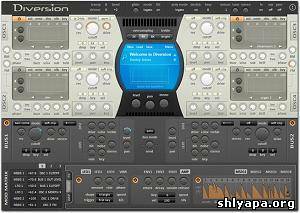 All sounds have been processed by the latest top-of-the-line Waves plug-ins for that album and radio-ready sound. This product includes standard WAVs at 24-Bit, 44.1kHz quality, either as perfect loops or one-shot files which allow the tails of reverbs and delays at the end. Fruity Loops Studio zipped loop packages are available for those who want to deconstruct and rebuild right inside FL. 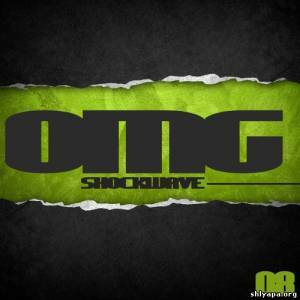 Get that authentic Dubstep sound that is currently casting it's shadow over dance charts worldwide! Dirty is the new clean. 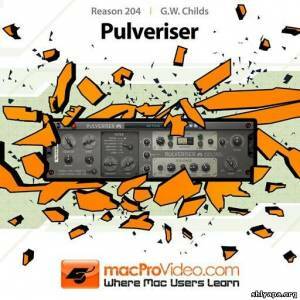 That’s exactly what Pulveriser does: It turns your cleanest, most pristine audio into the baddest, most messed up awesome audio junk you’ve ever heard. GW Childs, our MPV audio mangling maestro, shows you his patented, pulverizing techniques in this workflow-based, 20-video tutorial. You’ll learn everything about Pulveriser and how to use it in your productions as GW systematically smashes his way through his own Pulverser laden project. So join GW and see how you can Pulverise you projects to perfection! 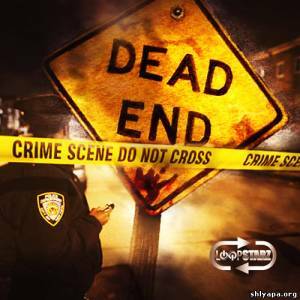 'Dead End' is the brand new release from the Loopstarz production team. Do you know how movie scores and dope Hip Hop beats sound together? 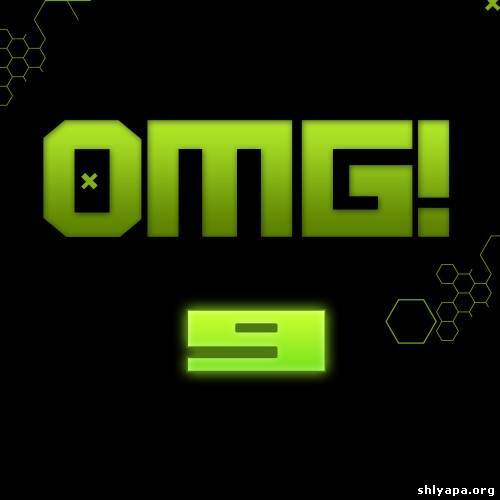 Press play and listen to the demo! Loopstarz take you on a musical journey through five dark and mystic Construction Kits. Each kit in this professional sound collection has been precisely broken down into clearly labelled elements, bringing you a vast array of melodic strings, glossy chord progressions, crystalline basslines, intricate drum arrangements and so much more to help get you into that Urban movie flow. These Construction Kits have been designed to allow you to mix and match an arrangement that makes sense to you - this is all the sonic trickery you need to create bangin' and unique Hip Hop tracks. All sounds are professionally recorded, edited, mixed and mastered utilising the best gear available, including SSL, Avalon, Brauner Phantera Microphone and Waves technology! All loops are key and tempo-labelled. 'Shockwave OMG 009' is an awesome collection of eight amazing Construction Kits that will give you all you need to have your own club hit. This multi-genre pack is full of melodies, synths, basses, effects and loops, and includes WAV and MIDI files for ultimate flexibility. 'Shockwave OMG 008' is an awesome collection of nine amazing Construction Kits that will give you all you need to have your own club hit. This multi-genre pack is full of melodies, synths, basses, effects and loops, and includes WAV and MIDI files for ultimate flexibility. 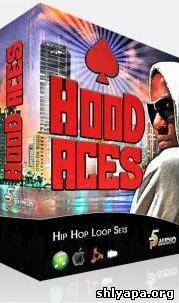 Crafted by producer Sentury Status, Hood Aces Construction Kit delivers 10 Loop Sets and 9 drum kits in the styles of Ace Hood, DJ Khaled and other top FLA Hip Hop artists! 10 Construction Loop Sets with 146 individual music loops total! 9 custom drum kits with over 200 individually custom crafted sounds. Inspired by Ace Hood and other hot Florida style Artists! 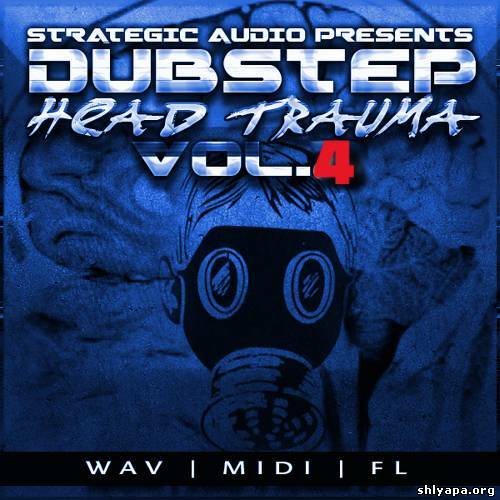 Loops are formatted for Acid Loop 24bit WAV, WAV 16bit. 100% Royalty FREE for use in your commercial productions!